WHAT LANDSCAPE AND MARINE LIFE DO YOU WANT TO SEE? ARE YOU LOOKING FOR BUDGET OR COMFORT? DO YOU NEED TO STAY CONNECTED? 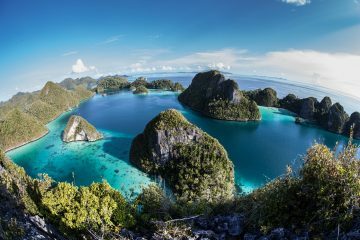 The Solomon Islands are an archipelago comprising about 900 tropical islands, located to the east of Papua New Guinea. Waters here boast amazing biodiversity and you’ll find hundreds of types of corals and reef fish as well as larger pelagics. Since the best dive sites are located in remote waters far from the main towns, a Solomon Islands liveaboard will help you get the most out of your trip. Formed by a series of volcanoes and earthquakes, the Solomon Islands cater to every level of diver with shallow reefs, exhilarating swim-throughs and deep wrecks. Only a handful of the islands are populated, and the area has been largely unaffected by tourism. Liveaboard divers in the Solomon Islands will have the chance to explore an incredible variety of pristine dive sites in uncrowded waters. 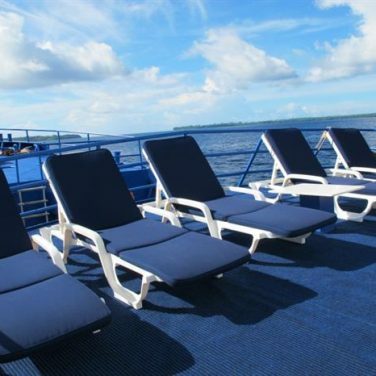 The custom-designed Solomons PNG Master liveaboard has bright, air-conditioned cabins and fantastic photo facilities. During down time, guests can kick back and unwind on the sundeck, in the shade or in the indoor entertainment lounge. 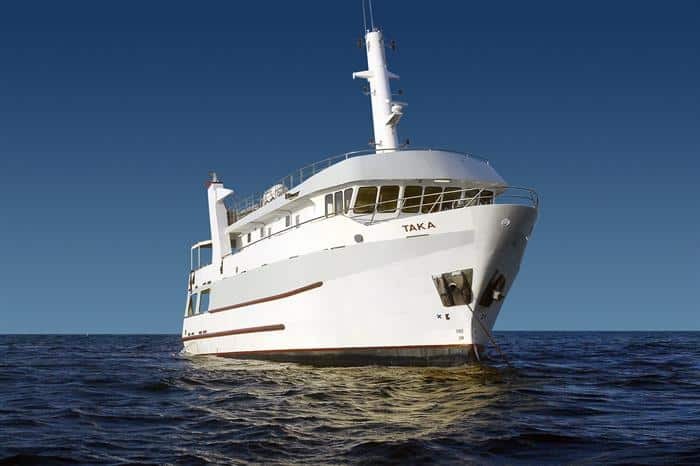 This sturdy, steel-hulled liveaboard has a variety of diving itineraries and is a good choice for divers looking to explore particular sites. Cuisine onboard this boat is a blend of Australian, Italian and international. Soft drinks and alcoholic beverages are available for purchase, and special meals can be arranged in advance. Nitrox and rental equipment are available for a fee, and divers can get certified for nitrox and advanced open water diving during their trip. 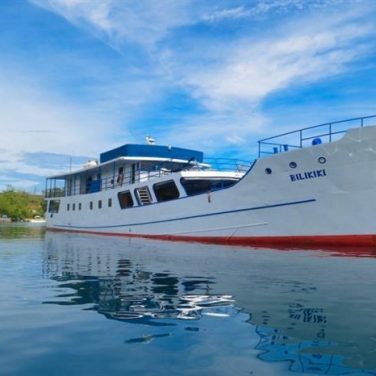 As the first liveaboard to bring divers to the Solomon Islands, the MV Bilikiki has a long history of creating unforgettable memories in the South Pacific Ocean. With up to five dives every day, divers will have the ultimate Solomon Islands liveaboard experience. 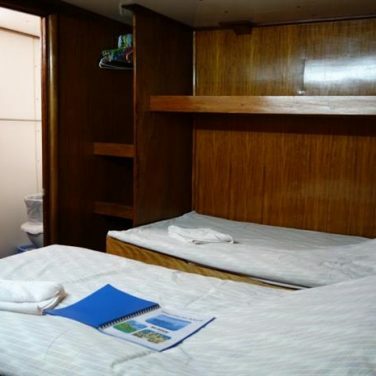 The roomy wood-panelled cabins are air-conditioned and come with en-suite bathrooms. Guests will enjoy relaxing in the lounge and bar, and photographers will be happy to know there is a dedicated camera room. Dive facilities are spacious and all diving is done from tenders. Rental equipment and nitrox are available for a surcharge. The Solomon Islands can be dived year-round, although the optimal season for diving is between May and December. 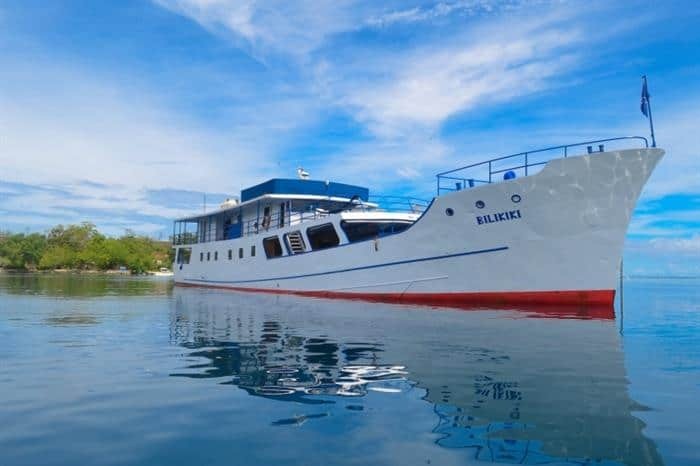 The MV Bilikiki ceases operations in January and February. The weather is tropical and you can expect hot and humid temperatures pretty much anytime you go. January to April can bring rain and wind, and June to August can get marginally chillier. Water temperatures are fairly constant at around 82 to 86°F. Visibility hovers around 45ft but can reach up to 80 or 90ft on good days. Liveaboards in the Solomon Islands offer a range of itineraries depending on the length of trip, time of year and diver preference. Thanks to the huge variety of terrain, you can choose from macro life, pelagics and everything in between. Night dives are common. The rocky volcanic underwater landscape features impressive drop-offs, pinnacles, tunnels and canyons. Divers can swim through lava tubes or meet baby reef sharks in the underwater caves. Kavachi, an active underwater volcano, is home to a brave group of hammerhead and silky sharks. Other pelagic life in the area includes schooling barracudas and jacks as well as turtles, dolphins and manta rays. The Solomon Islands are famous for their wreck diving, with about a thousand World War II planes, boats and submarines as well as deeper wrecks for experienced divers. Many itineraries focus almost exclusively on wreck diving if that’s where your passion lies. Dives in the Solomon Islands are often over an hour long, with time at the end for macro lovers to pore over nudibranchs, pygmy seahorses, blue tangs, clownfish and other colorful reef fish in the shallows. You’ll also find populations of threatened juvenile bumphead parrotfish and if muck diving is your thing, there are plenty of weird critters to be spotted. Before you go, be sure to check out our underwater photography tips so you can immortalize your Solomon Islands experience! The inhabitants of the Solomon Islands have very little contact with the outside world and a trip to the islands themselves is a unique cultural opportunity that shouldn’t be missed. Depending on the trip, both Solomon Islands liveaboards offer excursions to visit the local islands and shop for produce and handmade wood carvings at the markets. Check the itinerary of your particular trip to make sure there will be an emphasis on these visits if this is important to you. 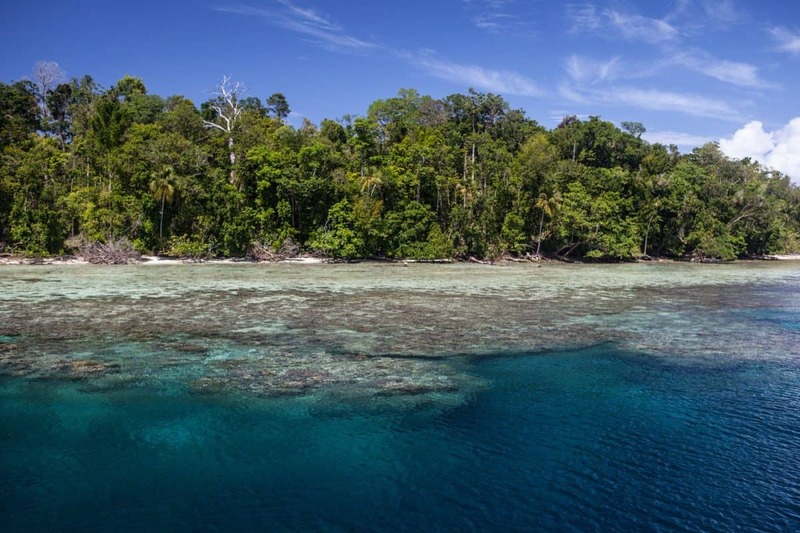 Liveaboards in the Solomon Islands generally have something to offer every level of diver, and itineraries can be somewhat tailored to the divers on board. 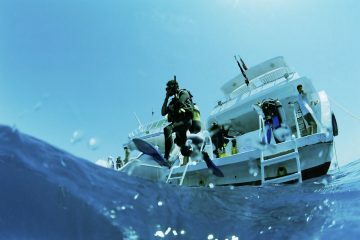 That being said, it’s a good idea to be nitrox-certified as most liveaboard trips offer five dives a day. 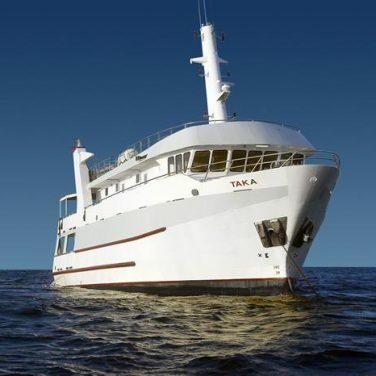 The Taka offers some itineraries that require a minimum number of dives. Advanced divers will have no shortage of challenges, with possibilities for night diving and deep wreck diving. The Taka offers nitrox certification and advanced open water courses onboard. Both the Taka and the MV Bilikiki are fairly comparable in terms of comfort, and both of them have been recently renovated. Double beds are only available on the Taka. 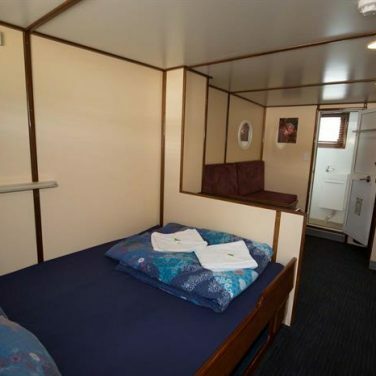 Conversely, it is the MV Bilikiki that offers en-suite bathrooms in all of its cabins. Perhaps partly for this reason, trips on the MV Bilikiki are generally more expensive. 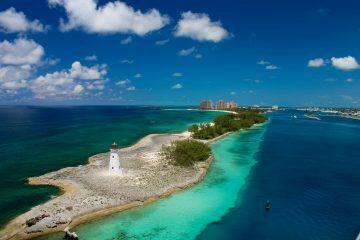 Since diving varies by month, budget travelers will want to search for more affordable prices during the low season. There is also a large difference in price depending on what kind of itinerary you’re looking for and how long you want your trip to be. Unfortunately, neither the Taka nor the MV Bilikiki is equipped with wifi capabilities. 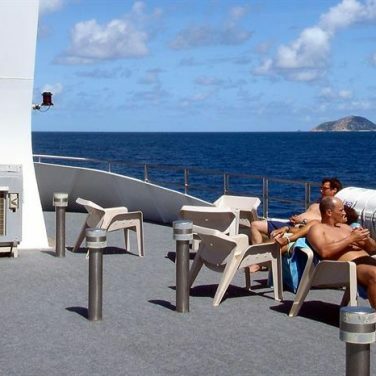 If you need to stay connected during your holiday, your best bet is to choose a very short itinerary or to go with a dive resort.